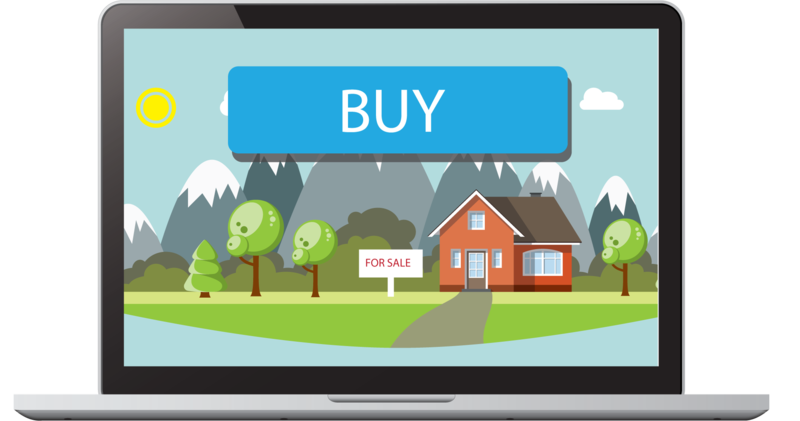 If you are thinking of buying or selling property in Ireland at the moment, you will have likely come across the term ‘PropTech’ but might be unsure about what it actually means and how it will impact your transaction. Simply put, this term refers to new technology, specifically designed for the construction and property industries. Better known examples of this are virtual reality or augmented reality and on a wider scale, smart. There is some amazing and truly life-changing innovation coming down the track over the next few years but from an immediate Irish property market perspective the focus is on collecting as much information as possible and using that information to provide better services to buyers, sellers, landlords and tenants. What is interesting about this type of innovation is that much of it is coming from outside the industry. It is coming from consumers who have been through a buying, selling or renting process and are imaging and then designing ways that technology can improve this. Improvements can be for time and/or cost effectiveness. What we are seeing across the UK and the US – where PropTech is at a slightly more advanced stage – is that the most successful and impactful innovation happens when consumers and property professionals like estate agents or valuers come together to create solutions. The new solutions might be as seemly simple as keyless, digital entry to buildings or perhaps as relevant as automating the entire rental transaction right through to completion of lease agreements and payment of all money due using one multi-function, integrated platform. Of course, if the legal process can be automated for leasing, it is not a huge stretch for the buying/selling process to be automated over time. However, the most eagerly awaiting technology in the marketplace at the moment is property viewing using virtual or augmented reality tools. This is already available for a growing number of off-plan buildings, both commercial and residential, but is has yet to take off fully. Here at Kinsella Estates, we are keeping an eye on emerging technology for the industry, not just in Ireland but across the globe. We have no doubt that this is the future of property businesses and we were mindful of this when we launched our newly redesigned website recently (www.KinsellaEstates.ie). Also, last year we started using 3D tours and virtual reality (VR) tools to facilitate house-hunters who were not in a position to attend for viewings. The response from prospective buyers was amazing. Of course, what amazed us was how quickly that technology moved on. On Saturday, 1st April we have launched our showhouse for Gleann an Ghairdin, a well-located developments of quality-built, three-bed houses on the Dublin side of Gorey, just 45 minutes drive from Dundrum/M50. Reaching out to remote buyers, particularly recent emigrants who are watching the jobs and housing markets, waiting for the right time to come home, we upgraded our 3D tours via a new Irish proptech company, 3D to Sell, to provide 3D tours in HD quality, with ‘doll house’ view and floor plan layouts, that can be viewed on any device, without the need for a VR headset. PropTech is fundamentally changing how we do business within the property market and when this happens, it’s not just the estate agents who are affected, it is the buyers, sellers, landlords and tenants who ultimately benefit. It is difficult to image a marketplace without online portals like Daft.ie, yet they did not exist (in their current form) two decades ago. The pace of innovation and change is increasing rapidly; the important thing for sellers is to ensure that their property is accessible to all potential buyers in whatever form they wish to view it, whether that is real or virtual. Want to have your ShowHouse on View all the time with a 3D Tour like Kinsella Estates?